Happy March! Spring is in sight, and we're heading outdoors with our newest Case File. Did you know March is officially known as Mad for Plaid Month? 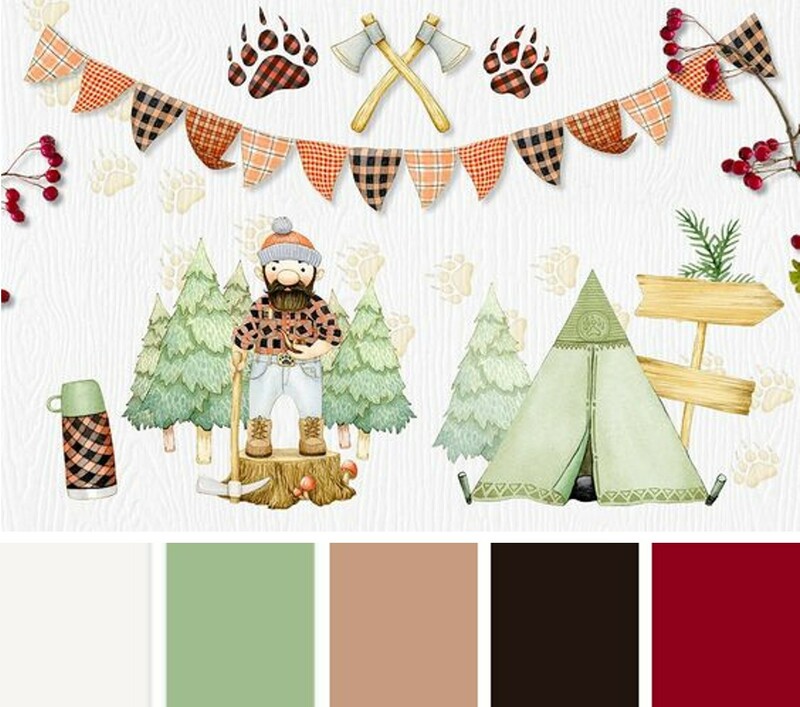 As I was perusing all the interesting March celebrations in search of a theme for our Case Files, I came across this one, and with plaid being a trendy pattern right now, I thought it would be a fun theme. We've got a delightful Scene, found at Creative Market. Feel free to interpret the Case File in any way that inspires you, or for our traditional clues, scroll down to the bottom of this post. 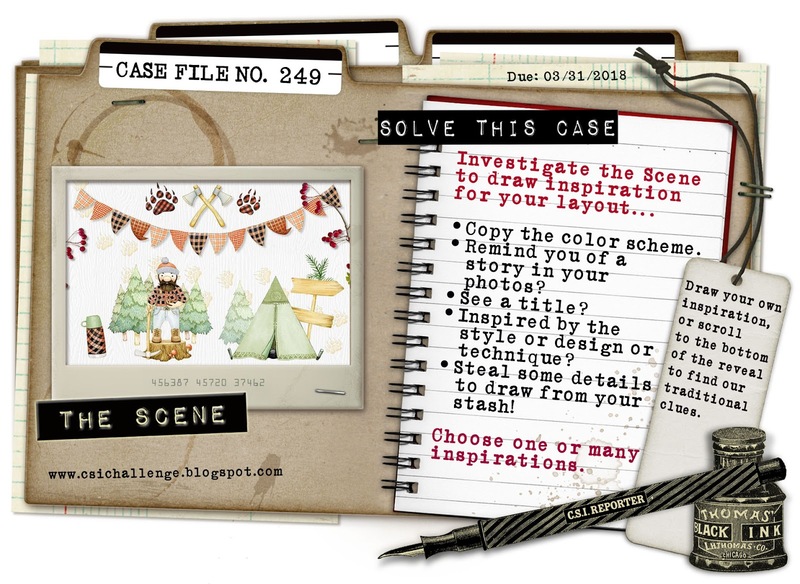 How Carina solved the Case File: I just loved the color scheme in this casefile and the camping scene made me think of going on an adventure/travel. I also loved the little cartooned man so I added the little sweet rabbit to my layout as inspiration! 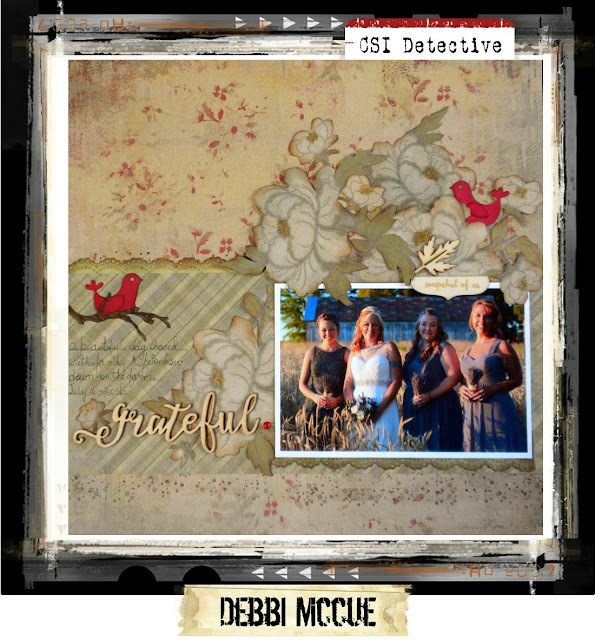 How Debbi solved the Case File: I used the traditional clues, which is what I love to do! I always enjoy trying to use as many of the clues as possible, and I get a kick out of using old stash as I'm searching for the items to use. 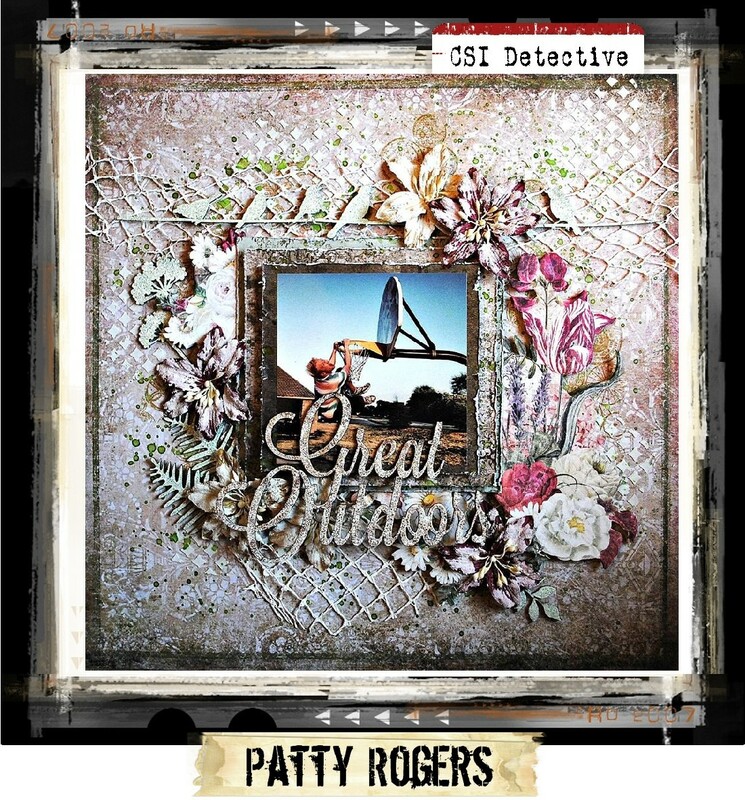 I used all of the Evidence clues except for the metal and twigs. I used the Inspiration Word adventure. Although I didn't use the exact palette, I tried to stick with the earthy palette. I brought in the blues to match the plaid paper I used. 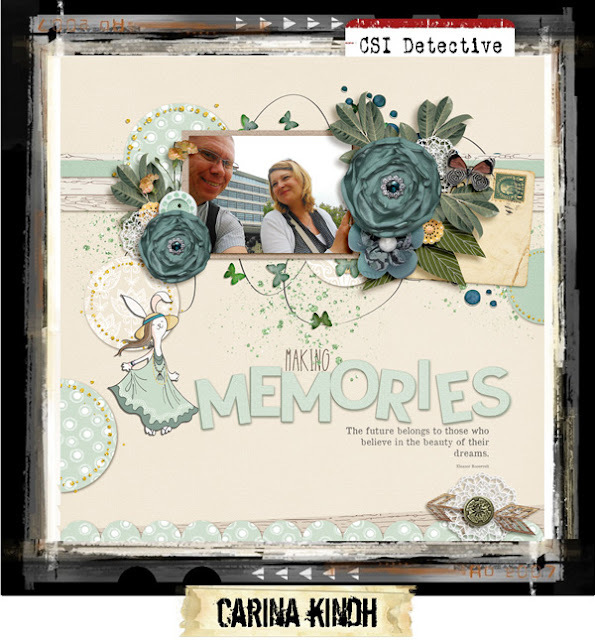 I also participated in a scraplift challenge over at Paper Issues, so I can't take credit for the cool design. 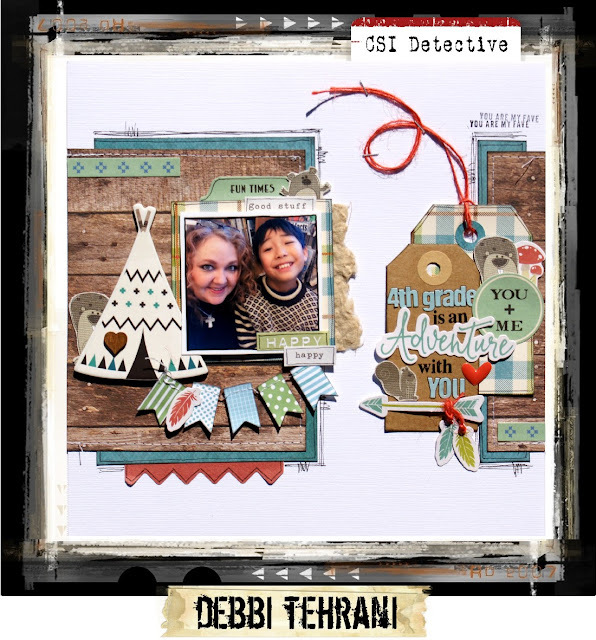 I'm making a page for each of my students, and I thought this theme would be a fun one to make a layout for this student. 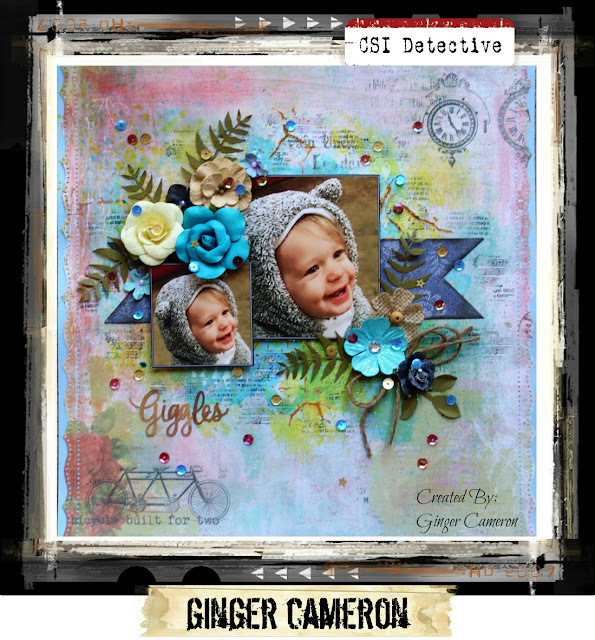 How Ginger solved the Case File: I love the colors that we are suppose to use. It goes so well with this sweet photo of my little grandson Jaxson. He has the bluest eyes, blonde hair, and the cutest dimple! I could come up with anything so long I used the colors. I added lots of background colors but left this layout rather simple to show off the photos. 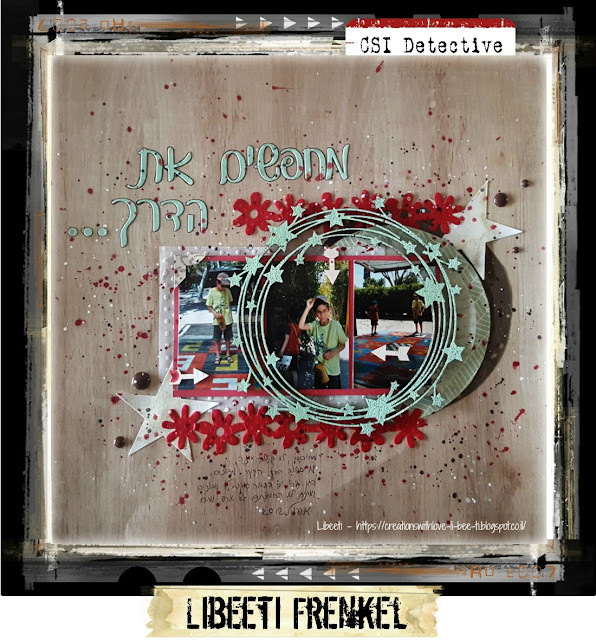 How Libeeti solved the Case File: My take on #249. I went with the traditional way to solve the case. I've used all 5 colors; for the clues I took the woodgrain background and the arrows; I've documented an outdoor memory. 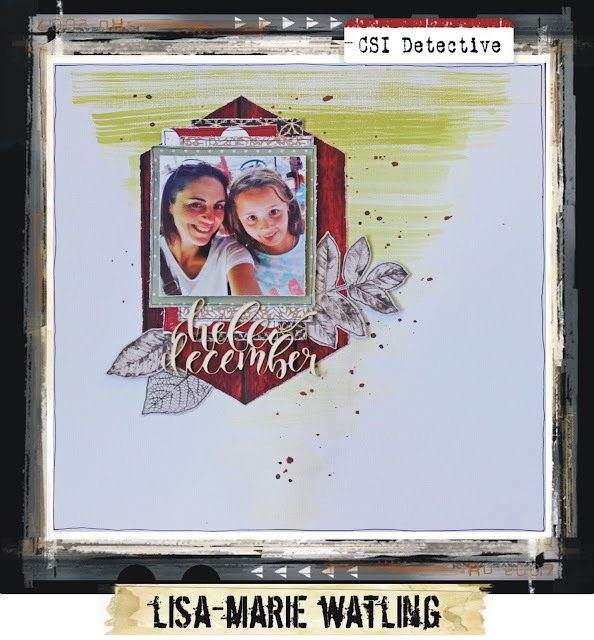 How Lisa-Marie solved the Case File: I loved this palette! My eye was first drawn to the ombre of the trees - and then to all the "pointy" bits. I created an ombre background to mimic the trees and I used crimson woodgrain paper to mat my photo cluster, echoing the "pointy" bits. 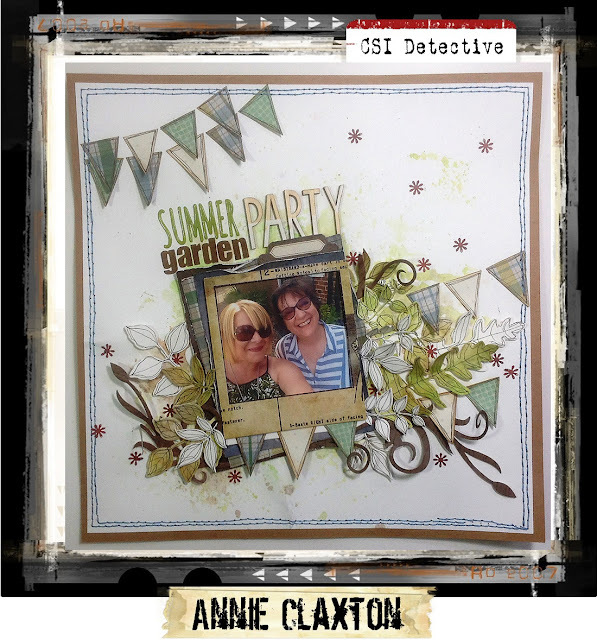 I fussy cut some foliage and used paper that also had a foliage print on it! The picture was taken on a day outing with my daughter during the school holidays in December last year. 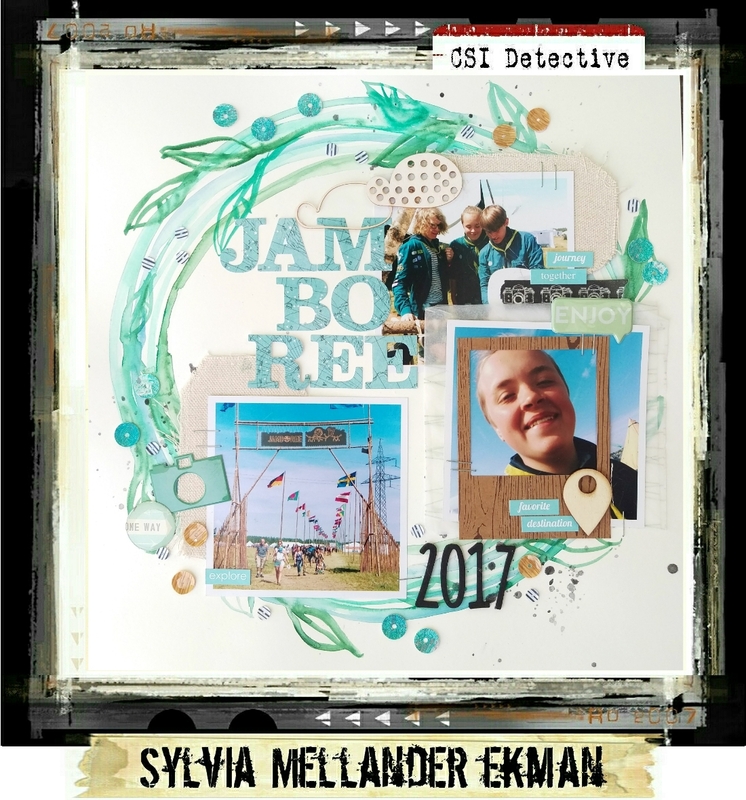 How Jacynthe solved the Case File: I made this layout using the colours, the evidence, and the testimony suggested by the case file. The colours are all there. 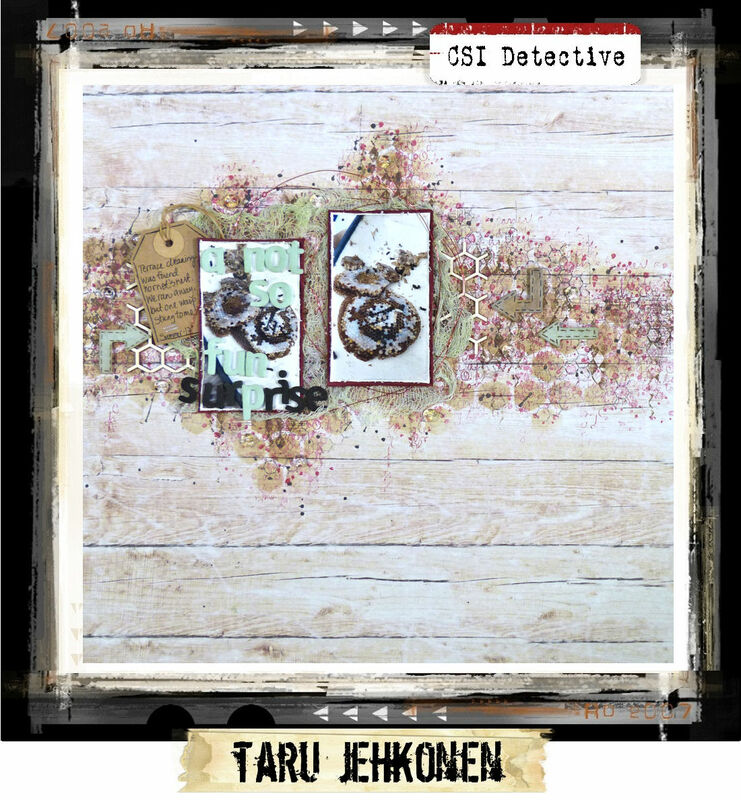 My evidence items are: Woodgrain background, plaid, banner, woodland animals, metals, and twigs/branches. I documented an outdoor memory. How Annie solved the Case File: I loved the outdoorsy feel of this Case File, so I tried to capture that in this page. 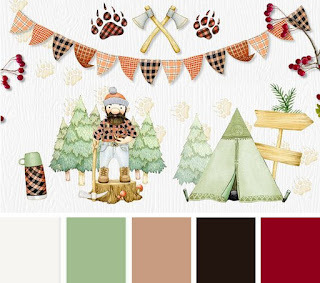 I used the colours, woodgrain, plaid, bunting and lots of leaves painted with watercolours. 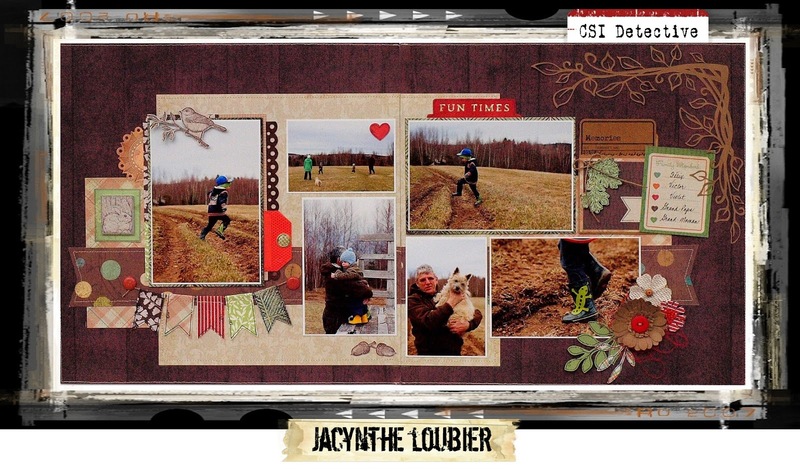 How Carrie solved the Case File: I was inspired by the outdoorsy photo inspiration for this month's case file. I went a little out of my comfort zone and went more "cutesy" than my natural inclination to do pink and flowers! 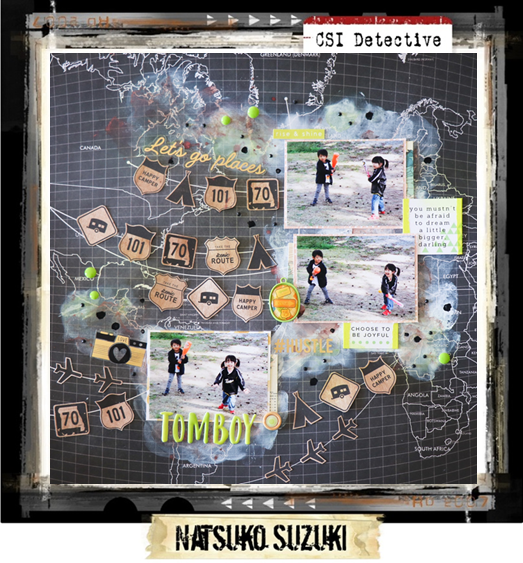 How Natsuko solved the Case File: I took inspiration from the palette, banners and the outdoor theme. My daughter was such a tomboy when she was small! I love how she's so active and happy when she's playing outside. How Wendy solved the Case File: I was inspired by the banners turning them into triangles!Also chose an outdoor activity and generally kept to the colour scheme adding a touch of colour! 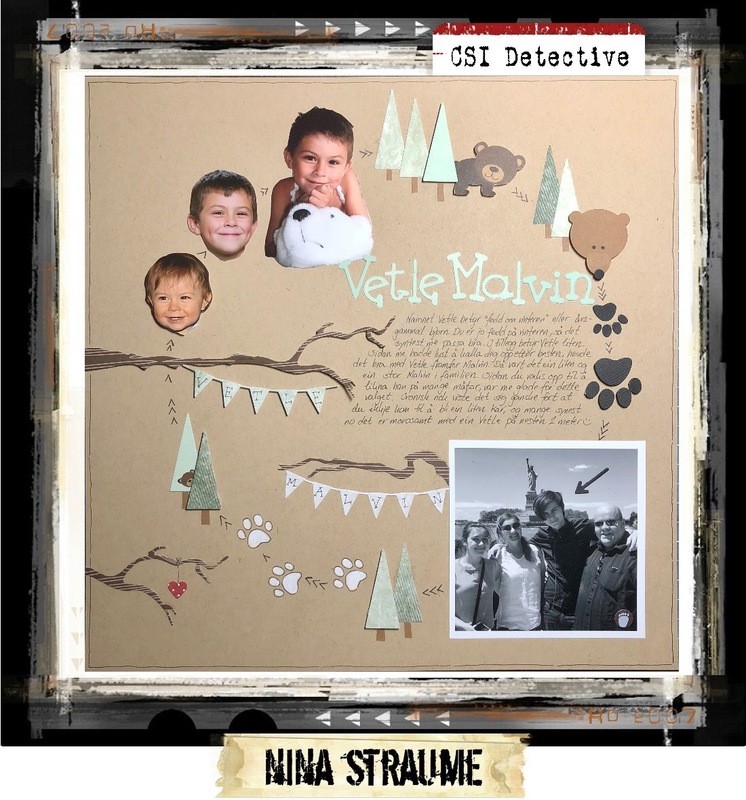 How Patty solved the Case File: I was inspired by the outdoor theme and the colors were perfect for a masculine layout about my son. I solved it using the traditional CSI prompt. Topic: Document an outdoor memory. 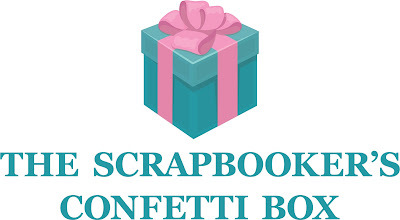 Or… It’s Celebrate Your Name Week. Write about your name. Prompt Idea: It’s Mad for Plaid Day. 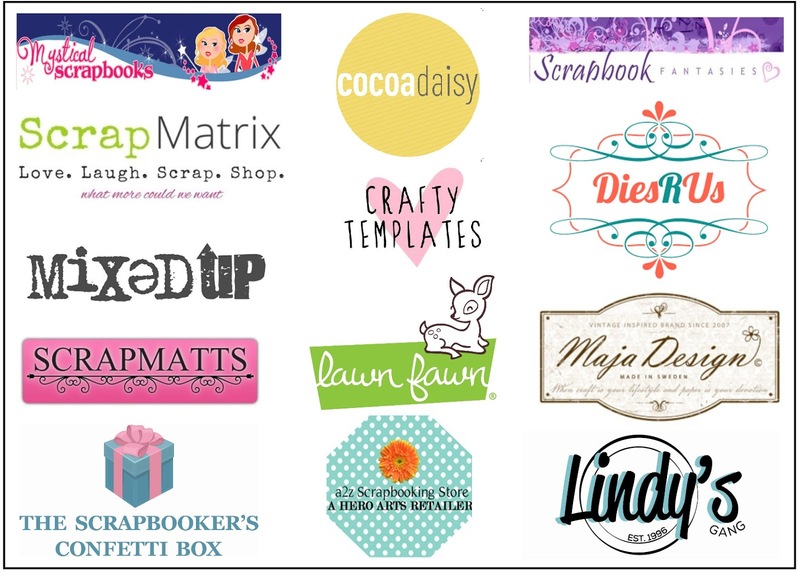 Use the beginning of that phrase, “Mad for ____” as a jumping off point. Presentation: Add your journaling to a sign. 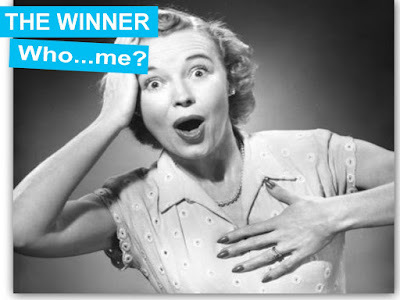 Writing Format: March 1 is World Compliment Day. Write your journaling in the form of a compliment.